Firm: The Webb Family Law Firm, P.C. 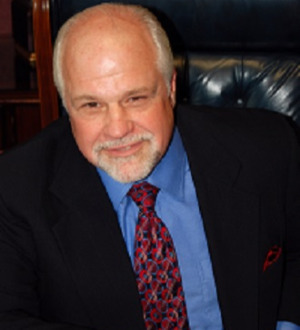 Brian has practiced family law since 1975 and has been Board Certified since 1980. He later served on the Family Law Exam Committee of the Texas Board of Legal Specialization for more than a decade engaged in writing and grading the Texas Family Law Specialization Exam. He served a similar tenure on the exam committee of the American Academy of Matrimonial Lawyers engaged in writing and grading their national admission exam. He has handled cases involving high-profile leaders in all walks of life including in the arts, business, education, fashion, law, law enforcement, medicine, mental health, politics, professional sports, and even the media. A popular lecturer and author, his published works covering a wide variety of family law topics confirm the respect of his peers. He is a co-author of a multi-volume treatise on family law published by Lexis-Nexis. Brian has presided over Texas' four largest statewide family law organizations: (the Family Law Section of the State Bar of Texas, the Texas Academy of Family Law Specialists, the Texas Chapter of the American Academy of Matrimonial Lawyers, and the Texas Family Law Foundation) and has served on the boards of national and international family law organizations. Brian is currently Immediate Past President of the Texas Family Law Foundation which spearheads the legislative effort for Texas family lawyers and is a former President of the American Academy of Matrimonial Lawyers Foundation which provides financial assistance to organizations benefiting the children of divorce as well as other worthy causes. He is also a member of the International Academy of Matrimonial Lawyers. He is a Charter Diplomat in the American College of Family Trial Lawyers, a distinguished organization with membership limited to 100 members nationally. Brian is a proud recipient of the prestigious Judge Sam Emison Award, awarded by the Texas Academy of Family Law Specialists as well as the equally prestigious Dan R. Price Award presented by the Family Law Section of the State Bar of Texas, for his outstanding contributions to the practice. Brian has been chosen to be in Texas SuperLawyers.com every year since its inception, including selections as one of the Top 100 Super Lawyers in Texas and as one of the Top 100 Super Lawyers in The Dallas/Ft Worth area. D Magazine has named him as one of the best family lawyers in Dallas and he has been listed in the prestigious "Best Lawyers in America" every year since 1989. "Professor Webb was truly passionate about teaching us. He was even more passionate about his love for being an attorney, which was extremely refreshing. This love was directly proportional to our desire to learn and we are very grateful for professors like him!" Board Certified, Family Law - Texas Board of Legal Specialization.